This month in Keto Delivered, I really wanted to put some items in your shelves that you may not be aware of or might not buy on your own. The main items are things that can elevate almost any dish to another level without being hard to use. Alongside those items, we have a few take-a-long snacks that are perfect for long trips, outdoor adventures, or just taking with you for an emergency in a tight situation. There’s some awesome companies that I worked with this month, so let’s jump right in. So, what’s in the box you ask? Let’s get into it: here’s the January Keto Delivered, unboxed for you! 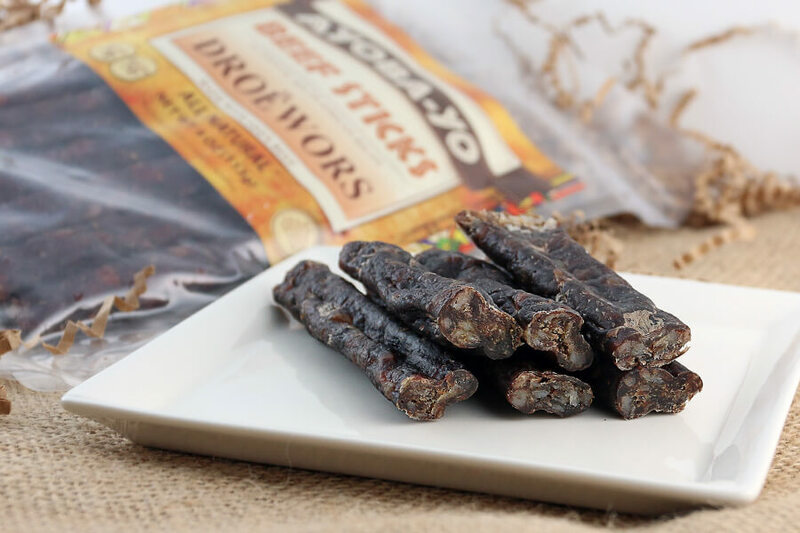 Droëwors is an artisanal dried beef stick that is made with 100% ground beef, void of any preservatives or nitrates. They start with the best cuts of beef that are ground and mixed with their family recipe blend of spices. They then carefully stuff it into a casing (sheep casing – all natural) and hang it to dry, it’s that simple. The result is a delicious treat that is moderate in protein and has zero sugar or carbs, making it the perfect keto friendly snack. It is also a great road trip or adventure snack that can be eaten anywhere on the go. Working with these guys was a lot of fun. Wian over at Ayoba-Yo was a great guy and you can tell that the passion for his products ooze out of his whole body. Passion is one thing, but taste is another. Let me tell you that these are some of the best snack sticks that I’ve ever put in my mouth. Just look at the picture – you can SEE the fat that’s loaded in each stick. Plus, the coriander and clove flavors are just wonderful! They take me back to my childhood of eating HP Sauce (brown sauce) growing up in England. These are a MUST TRY! You can see more of their meaty goodness over at www.ayoba-yo.com! Make sure to use coupon code “keto” for 10% off, too! If you start seeing traditional fat in your supermarket you can thank Fatworks! Not only do they make the highest quality pasture raised lard, they were the first company to convince supermarkets to begin carrying real lard again! Unfortunately, recently large food conglomerates and their “natural food” subsidiaries have hijacked the real fat movement. They suggest that you stay away from giant corporate “copy fats,” but either way you can thank Fatworks for bringing back the fat! Fatworks sources from small family farms and pays reasonable rates to the farmers for their pastured raised fat. 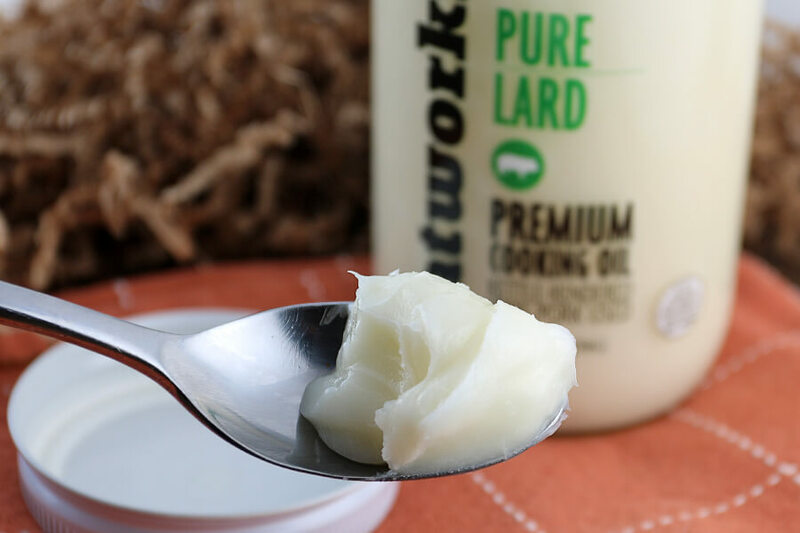 If you loved your Fatworks Lard and wish to see it in your local store ask for it by name! Who doesn’t like fat? We’re keto after all and fat makes up most of our daily intake of calories. When it’s such an integral part of our lives, why not make it the best quality we can? This lard is sourced from small family farms, helping sustain the right foods and methods of raising animals. This stuff is just plain good. The taste is similar to that of bacon fat, but a much more robust, clean flavor. Add this to just about any dish for an immediate growth in flavor! Plus, you can add it to things you may never have thought of – like dessert! Give a try to these absolutely delicious Bacon & Peanut Butter Cups! Jump on over to www.fatworks.com for delicious recipes and let Fatworks change your Fattitude! Plus, they’re offering 10% off with coupon “KETODELIVERED”! DiMario Foods was founded upon the belief of bringing their family’s artisanal recipes to you. They have been crafting Italian delicacies for generations. DiMario Foods is not only their company, but also an extension of their family. When you indulge in a DiMario product, you will experience over a century of pride and tradition. They take great satisfaction in using simple ingredients to craft quality, gourmet products. Snack sticks are just about a must to have around when you’re in a tight spot or have a food emergency and just need something to hold you over. When those times come, why not having something you’ll actually enjoy? 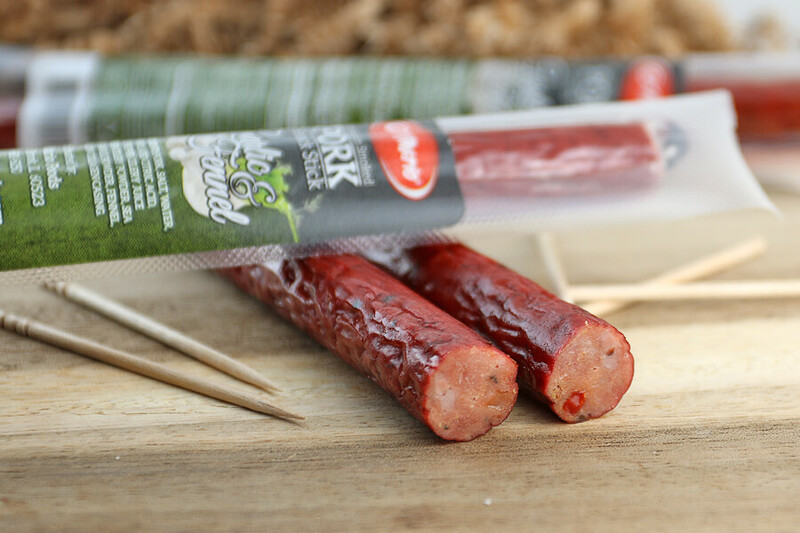 The fantastic flavors of garlic and fennel come together to fuel these sticks. Not to mention they have a great kick of spice after every bite you take. Head over to to their Amazon store at www.dimariofoods.com to see their other fantastic flavors! Eliot’s Adult Nut Butters is a small batch, savory nut butter company, based out of the Eliot neighborhood of Portland, Oregon. Each and every one of their jars strives to deliver the most flavorful, high quality nut butters you have ever had. Their “grown-up” line of products will help take your nut butter experiences to bold new places. The rich espresso flavor, savory chocolate undertones, and crunch from the nibs can’t be beat. They use top notch Organic, Fair-Trade Cacao Nibs from Theo Chocolate in Seattle. The Espresso Beans are proudly sourced from a great local roaster, Happy Cup Coffee. Not only are the beans phenomenal but they are thrilled to partner with a local Portland company that empowers people with potential. Most of you guys know Eliot’s by now: their Spicy Thai was featured in the first box of Keto Delivered! Their peanut butters go to a whole new level when it comes to flavor, texture, and putting it into something to create an awesome dish. I love that they used local ingredients (Theo’s is awesome!) and make sure that they’re giving back to the community by supporting small & local businesses like their own. Give a try to a 5 Ingredient Peanut Butter Mousse – the espresso notes are an amazing addition, and the cacao nibs add a great flavor as well. The texture leaves you with a decadently smooth mousse with bits and pieces of crunch in every bite! 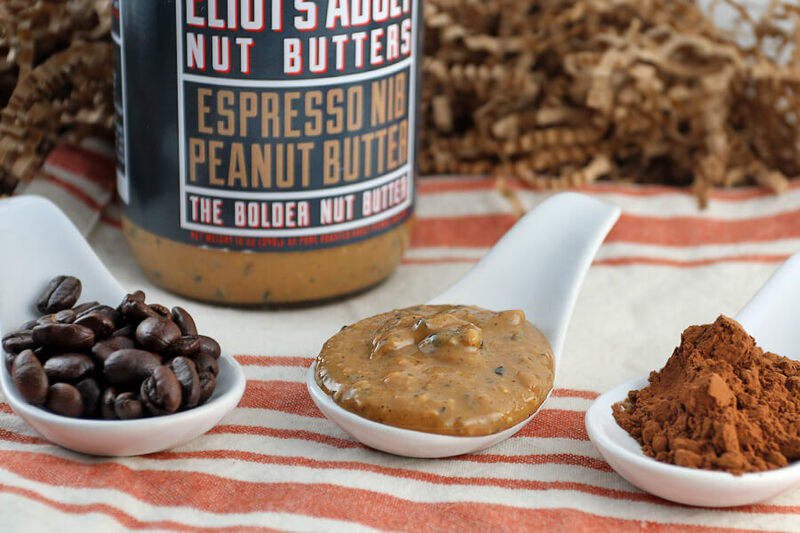 Scoot over to www.eliotsadultnutbutters.com and indulge in their other mouth-popping flavors! They make some incredible products. They have friends that make exceptional products. But getting products to market has always been a challenge. 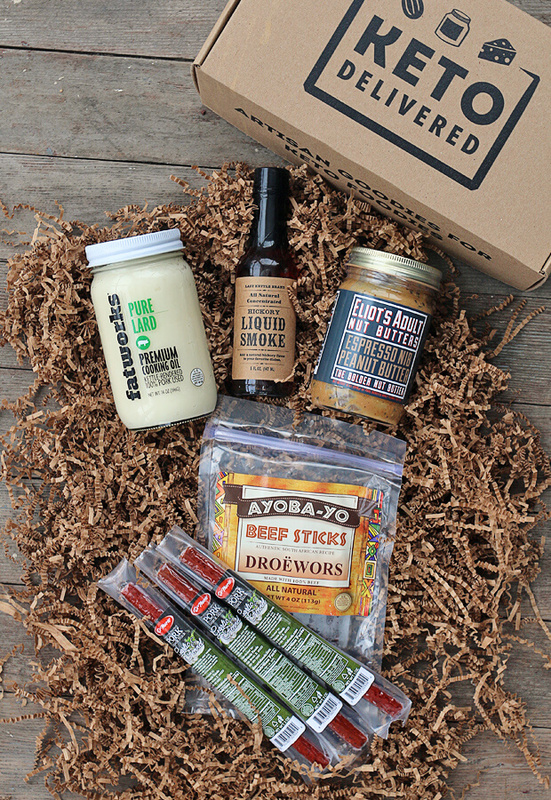 So they started their company with the idea to help food artisans and friends deliver their products to those that love them. Our main goal is to help their customers and friends find the things they are looking for in a smooth, efficient and friendly way. They hope to be able to share our passion and love of food with you! 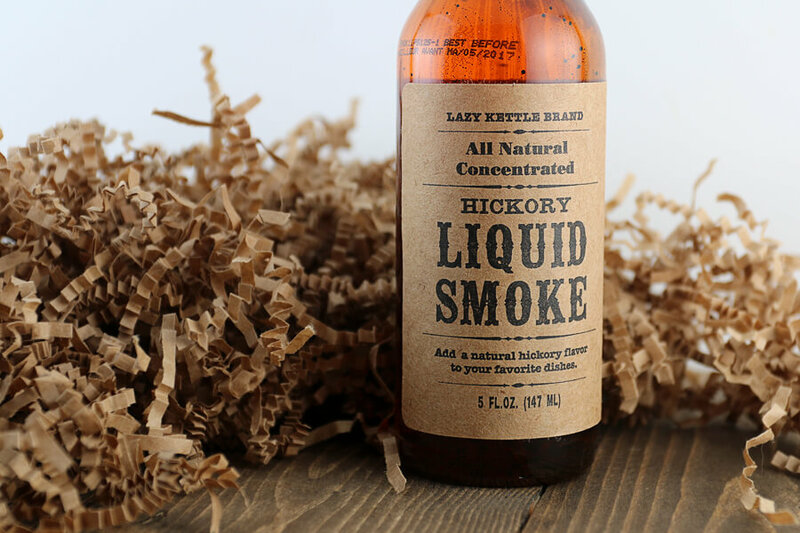 Liquid smoke is something that I don’t see many people buying. During the cold months, especially, it’s a perfect way to get a great smoky flavor into your meals without having to whip out a winter jacket and try to get the BBQ started. Add it to roasts, stews, soups – just about anything you’d like to add a great hint of smoke to. Use the general rule of thumb as 1 tsp. liquid smoke to 1 lb. meat! See more great small batch foods over at www.honestfoods.com! 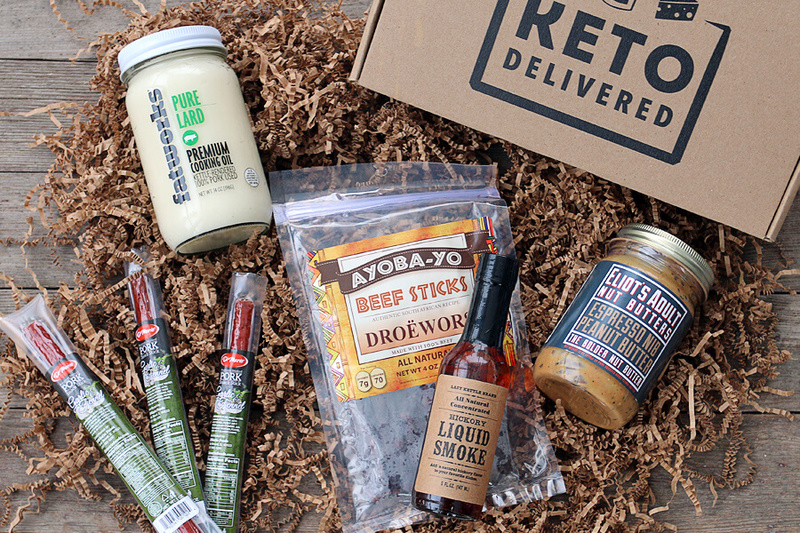 I hope you all enjoyed the delicious treats that were inside the January Keto Delivered box. I’ve been having a ton of fun sourcing new items, meeting new people, and of course – supporting small businesses. That’s something we can all get behind! If you haven’t signed up, make sure that you do so as soon as possible – we tend to sell out quickly!